No need to introduce this band much. All the OEF maniacs know this squad very well. It is clear as they will play at OEF for the fifth time now. Masters of gore grind from Spain. A band that is one the foundation stones of the genre, HAEMORRHAGE!!! Established in 1990 under the name of Devourment. They changed their name after one year and have been around with no breaks till today and they definitely do not seem to quit any time soon. Out of the deepest underground these four gentlemen and a lady made it to the biggest stages all around the world. Starting with their first full-length classic „Emetic Cult“ to their latest effort „We are the Gore“ which will be released in October 2017 by Relapse this band still keep their unmistakable style of gore grind with a light flavour of punk feeling and attitude. Blood, pus, doctor's white coats and other instruments at OEF 2018. 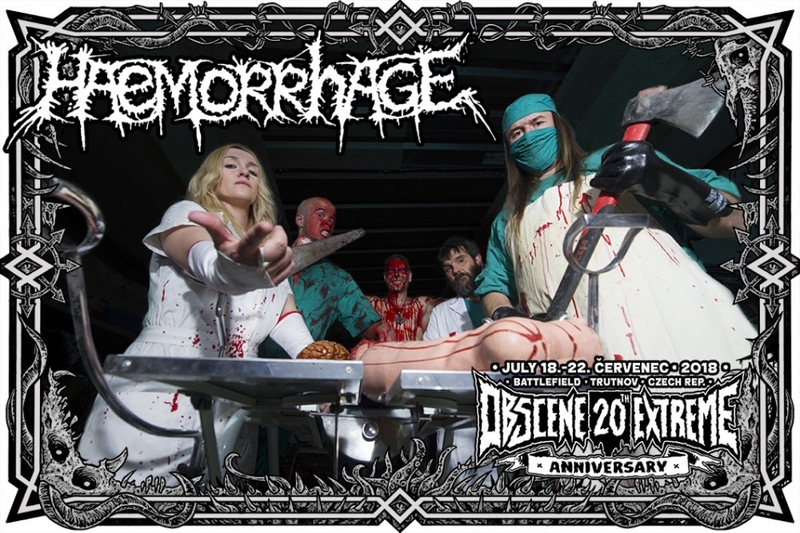 HAEMORRHAGE to enter the OEF stage!! !